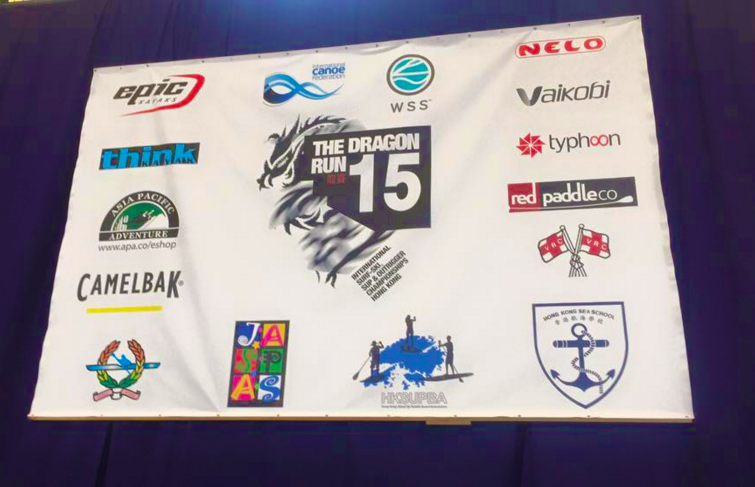 The Dragon Run is a highly anticipated race on the Surfski calendar, with its world class downwind conditions and unbelievable setting,no wonder it is becoming one of the more popular races in Asia, with numbers in participation doubling every year. I was lucky enough to be passing through Hong Kong, the same weekend as the race, and was keen to test my abilities with some of the local and international riders, who would be at the event. 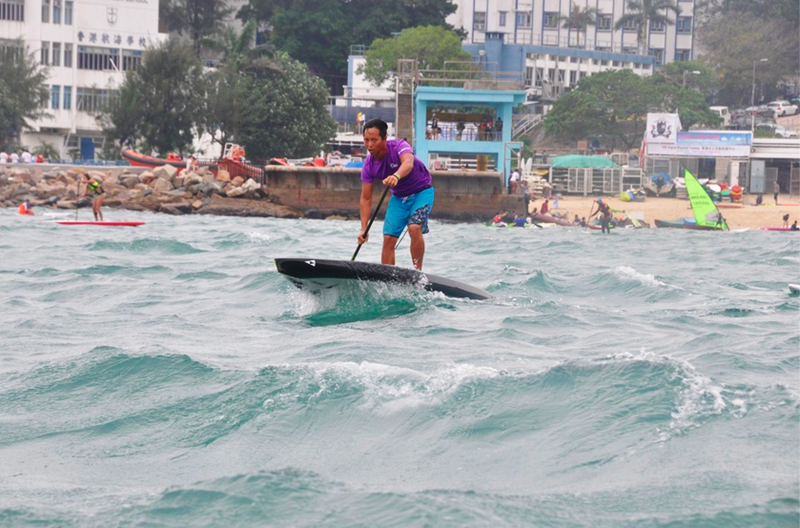 First I had to organize a board, so I rang up a mate who said I could use one of his prototypes… a SIC 14ft ISUP. 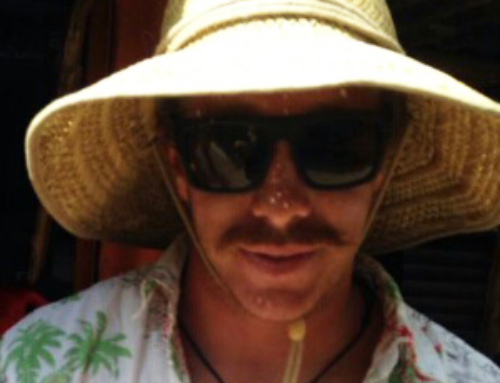 Nope it was not a Coreban, but at this point I could not be picky. 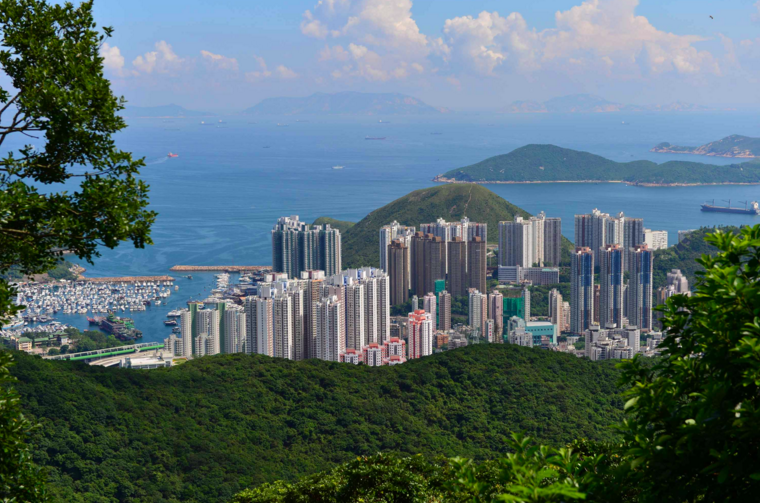 The race was set to kick off at 10am sharp, on the South side of the Hong Kong Island of Stanley. Conveniently the bus for Stanly was located directly opposite to the entrance of my accommodation. Talk about luck. Stanley is a popular escape for tourists and inner city dwellers on the weekend, and the lines for the bus can get pretty hectic, so I decided to get up early miss the que’s and hopefully avoid the traffic as it was about a 45min drive. 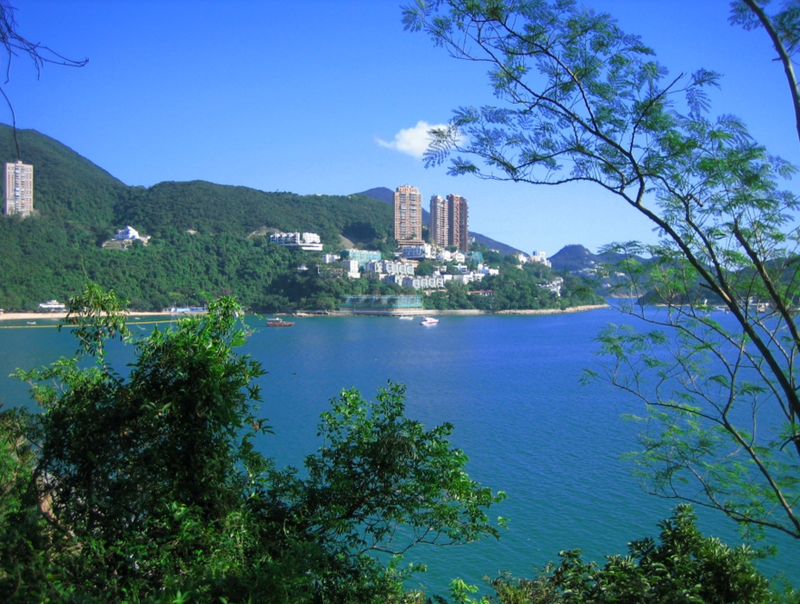 After leaving the city, we headed south over the peak, along a winding road through dense forest. Once the tree’s parted, visions of crystal waters, palm tree beaches and lush vegetation, a mesmerising sight. 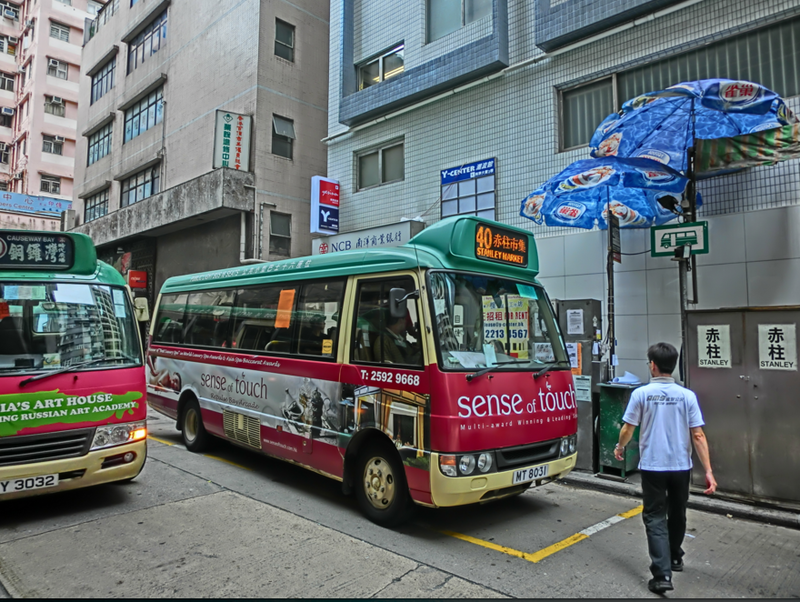 Unbelievably it was only a couple of kilometers out the Hong Kong hustle. We winded our way down, until we reached Stanley. 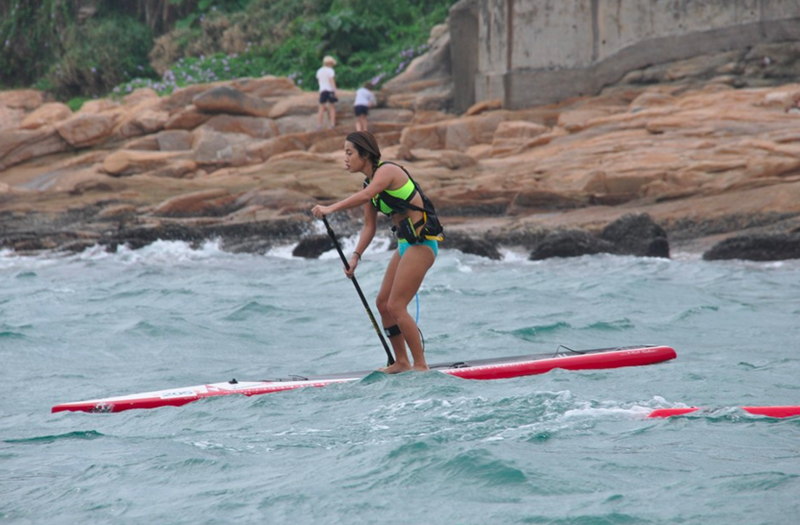 By that time I was stoked to get there, meet some of the paddlers and get on the water. 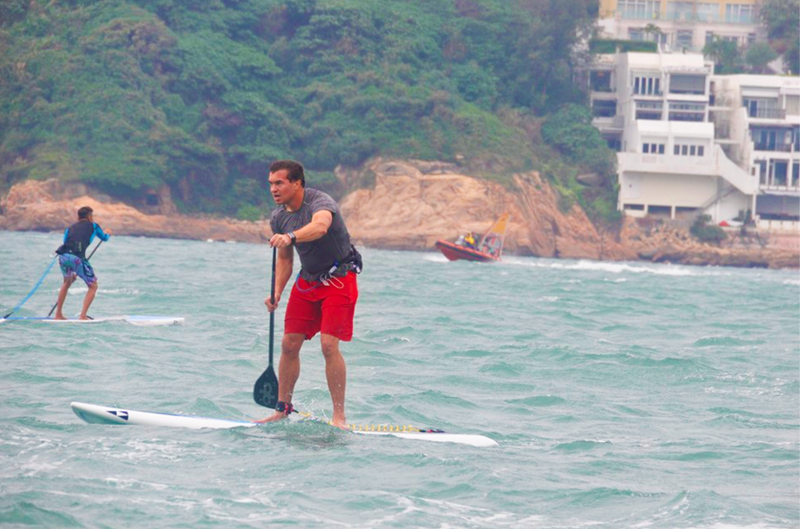 I met up with Bryan who runs Hong Kong Sup in SAI Kung. 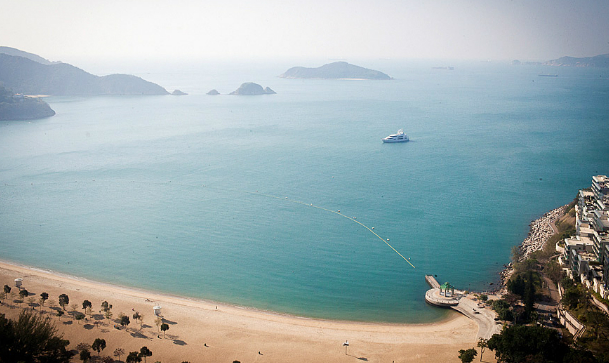 If you ever find yourself in Hong Kong, I suggest you check it out. 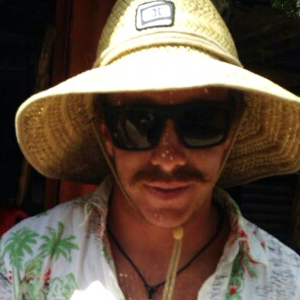 He is an awesome guy with a great team and offers both Stand Up Paddle Lesson’s and Rentals. Bryan had kindly brought along our boards – but unfortunately I had to pump it up. With a bit of a hustle, I managed to snag an electric pump and get it rock solid. 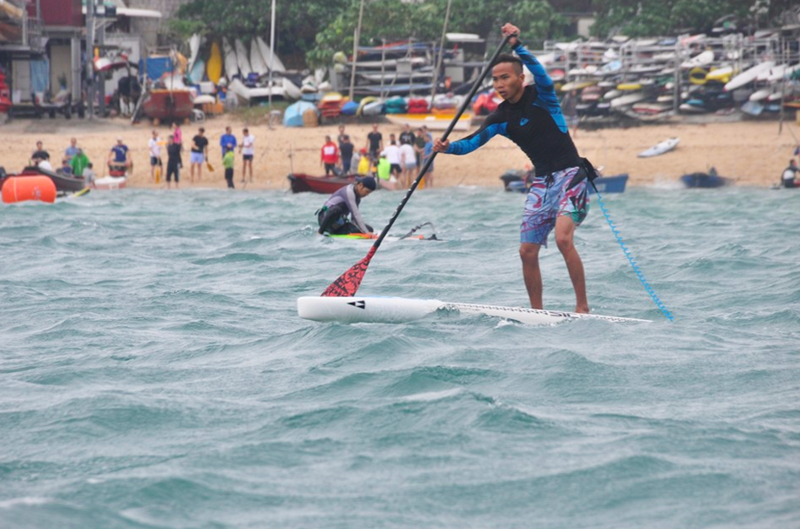 The SUP’S had started arriving and the anticipation for the race was building, as was the wind, which had now got up to 18knots with gusts in the high twenties. 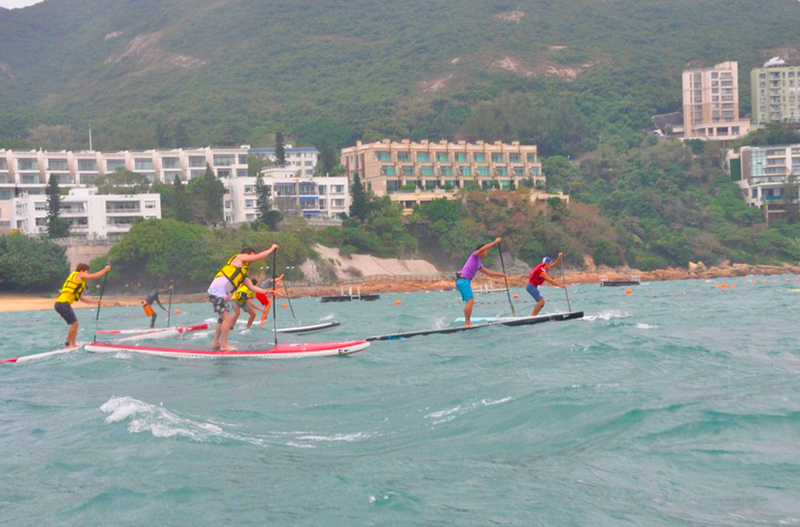 This was looking great for the Surfskis who where hoping for wind as their course was a 20km Downwind from Sai Kung to Stanley. 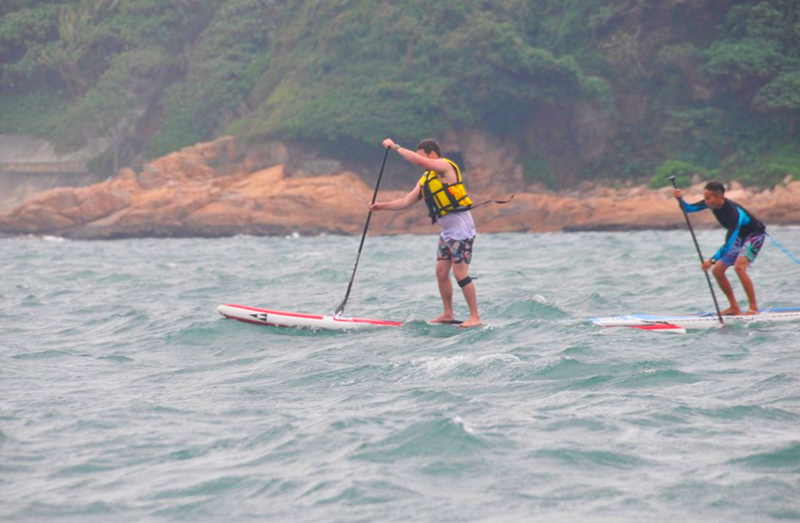 The SUP’s on the other hand had an 8km paddle which would be around a buoy (situated 2km off the coast) and back, with a solid headwind there and a downwind back. We would have to do that twice. I decided to test the waters, just before the start of the race and found that the conditions were harder than I had initially thought. 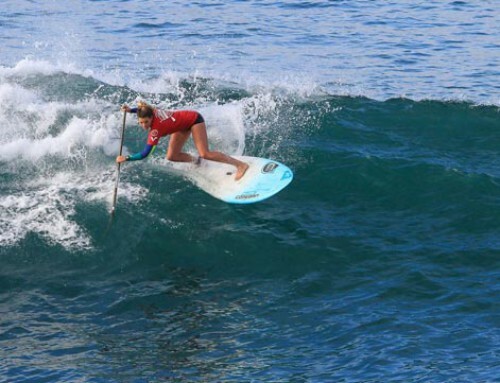 The wind was pumping and paddling into it seemed nearly impossible. The water was chopped up and all over the place, with backwash, crosschop produced from the windswell and countless boats and windsurfers buzzing around. So I headed to the shore to gather my thoughts, stretch out and get ready. The start was off the beach, a short run and into the water. 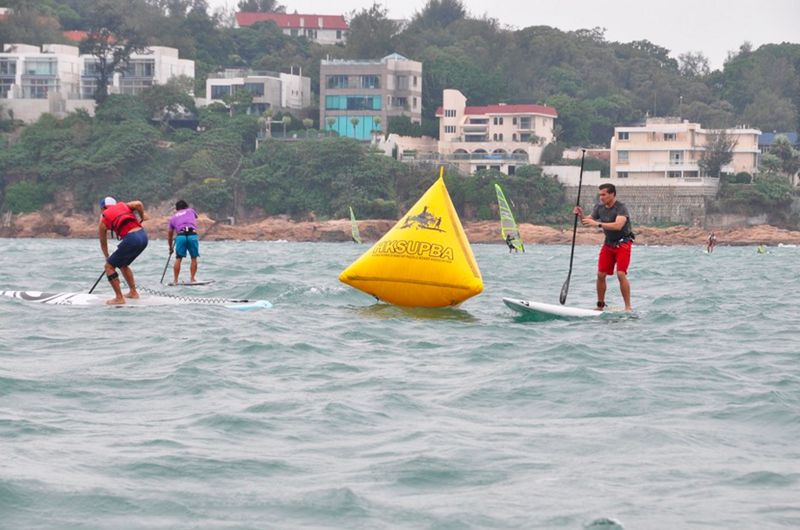 As the siren sounded, I took it slow into the water, as I had predicted it was carnage, with boards flapping in the wind and paddlers frantically trying to get going. I was on my way with a clean start, negotiated a couple of boards, paddles and flailing bodies and 50 m off the beach found myself in the front pack, of 8 guys. The wind was blowing slightly from the left which was an absolute killer for the right side shoulder, but we pulled deep and paddled hard. Luckily for me I have had a lot of experience in wobbly conditions, as the rest of the field took their first tumbles into the water, I managed to get in the front and find a bit of a lead from the rest of the pack. Walter a local paddler, and one of the favorites, was hot on my tail and determined not to let me get away. Finally after what seamed like a lifetime, we rounded the first buoy, with the wind now at our backs, we were in downwind heaven albeit only for 2km. After some great runs that went on forever, I found myself at the second buoy in no time and with a little bit more of a lead. We now had to paddle back to the outside buoy and after the first few strokes I really did not think I would make it, but I sucked it up, dug deep and paddled hard. I was not alone, Walter was on my tail and wanted the win. 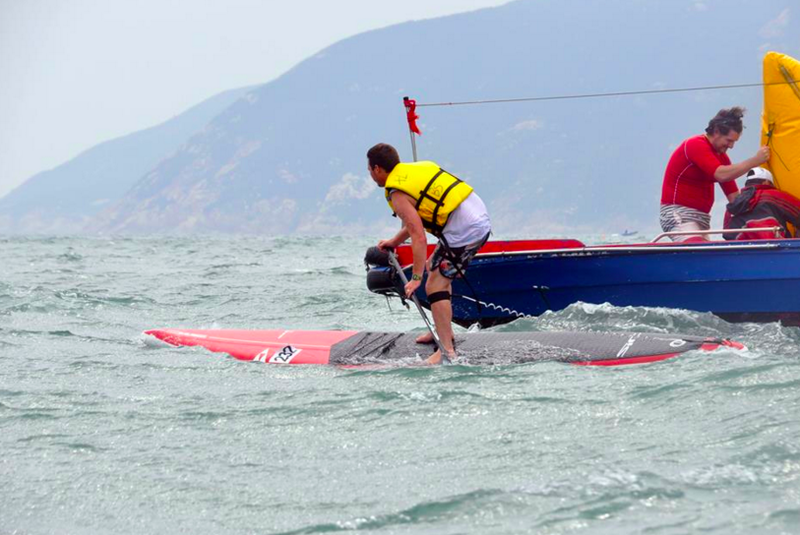 We rounded the outside bouy for the last time, I fell but landed on the deck and managed to get up quickly. Unfortunately for Walter he landed in the water and that cost him a win. With the wind once again at our backs and the finish in sight we could sit back and enjoy the glide. 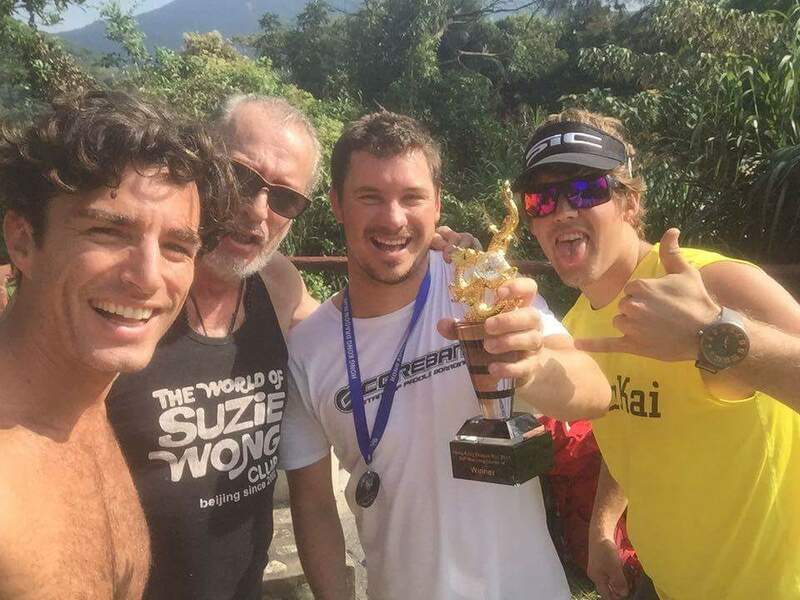 A couple good runs later, I crossed the line and was stoked to have won the 2015 Dragon Run. One by one, the rest of the field crossed the line. 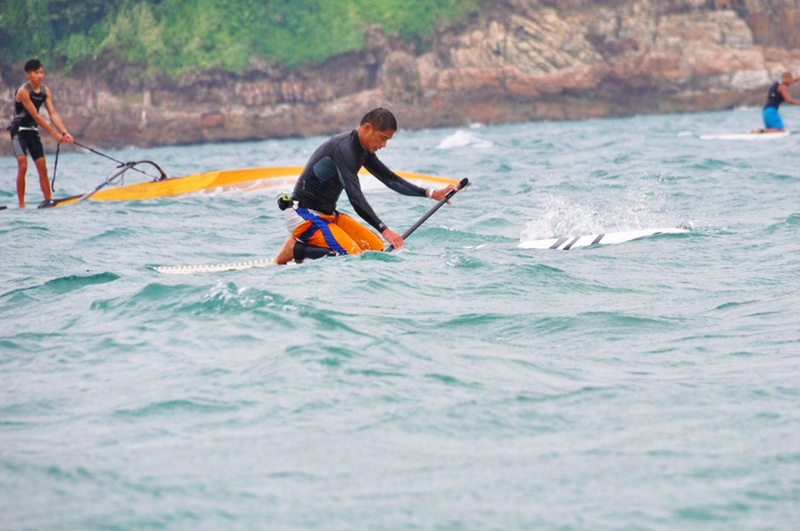 These were truly testing conditions, as many paddlers claimed it to be the “toughest paddle of their lives”….I can vouch for that. Although not the longest, and half (in distance not time) of it was downwind. That up wind section really brought out the Dragon in all of us. 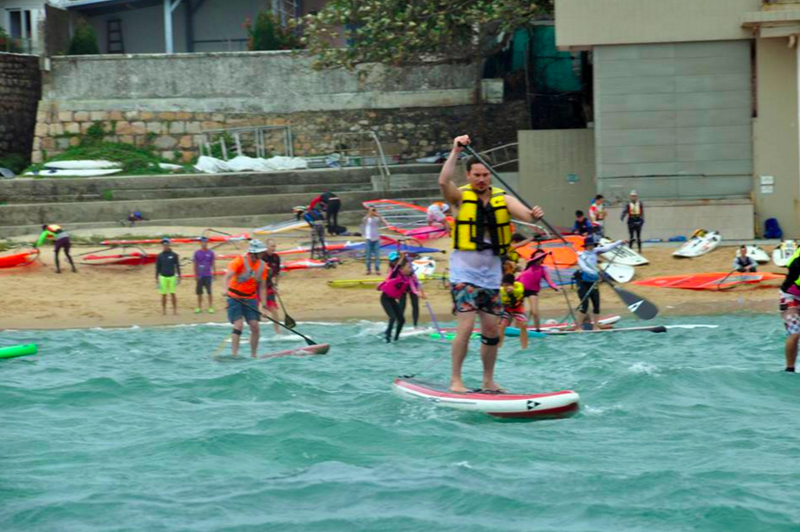 We then headed up to the Club for some post race celebrations where the beers were getting frosty and the Burgers warm, as we waited for the Surfskis to come in and the prize giving to kick off. An absolute killer event. A big thanks to the organizers, sponsors, participants and Coreban. I will definitely be back and I suggest you try do the same, see you all in 2016.